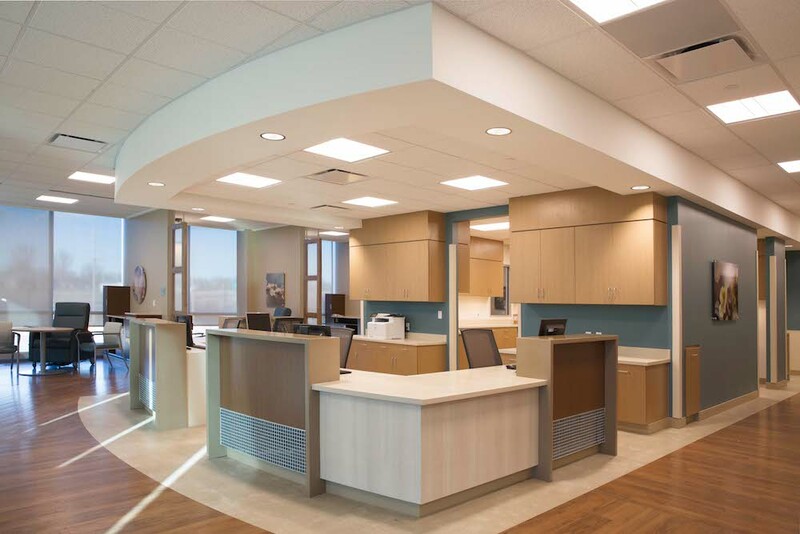 Saint James, MO – Cohen Architectural Woodworking has been named a recipient of the Award of Excellence by the Architectural Woodworking Institute (AWI) for its work with the Delbert Day Cancer Institute in Rolla, MO. This is the fourth time Cohen has received the AWI award. 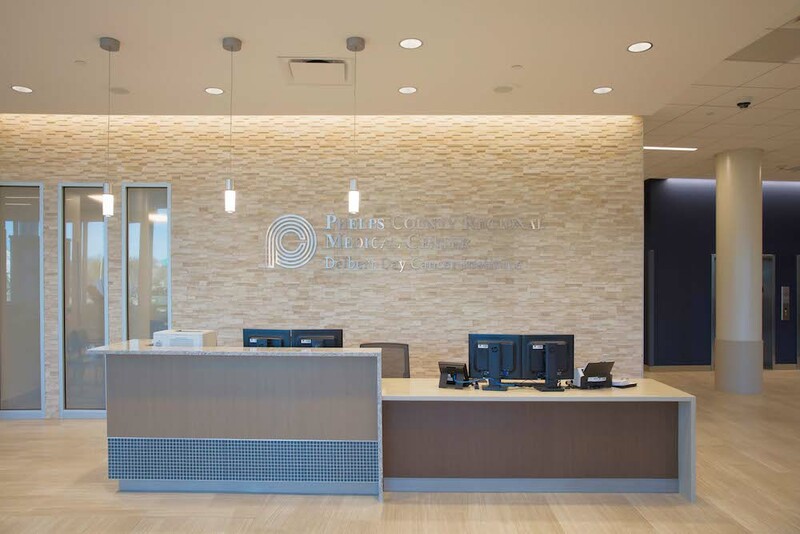 The Delbert Day Cancer Institute (DDCI) at Phelps County Medical Center opened in 2017. 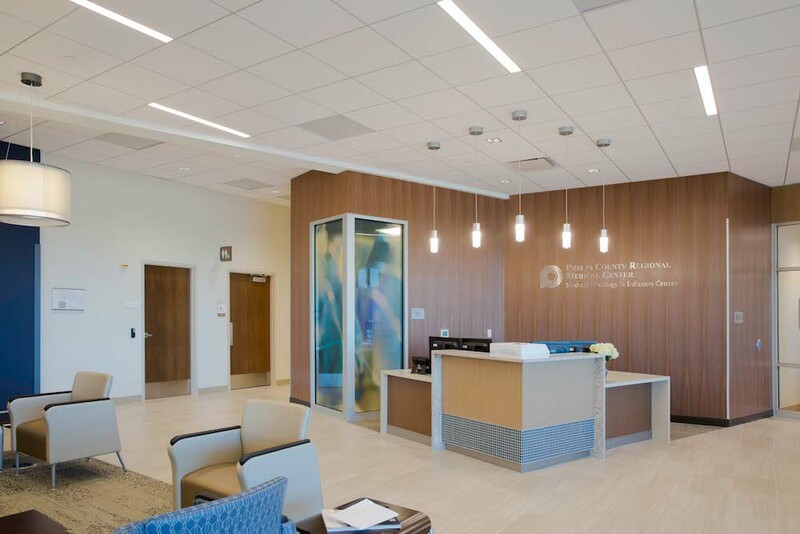 It includes designated areas for radiation oncology, medical oncology, laboratory and imaging services, an infusion room, physician offices, and areas for a community conference center, retail space and café. 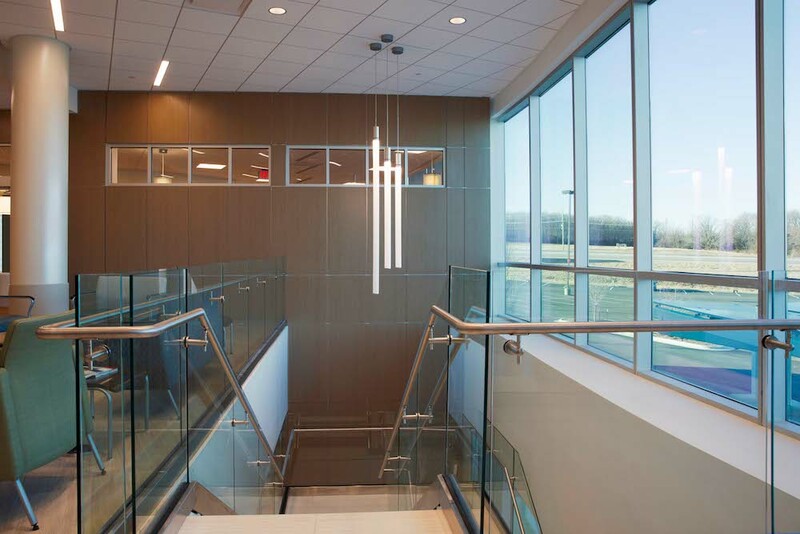 Cohen supplied the woodworking and fabrication for the facility, and design was by BSA Life Structures in St. Louis. 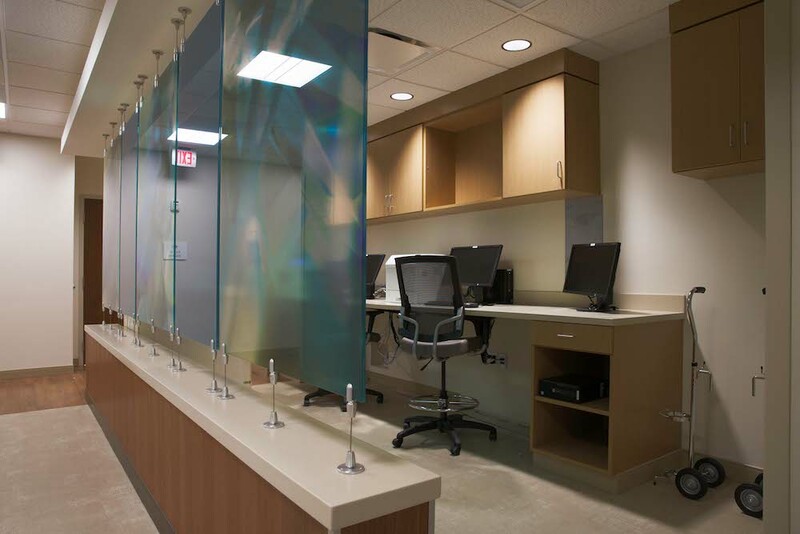 DDCI is designed around the convenience and comfort of the patient and their family, and, to that end, Cohen fabricated maple wall dividers and nurses stations, as well as high pressure decorative laminate wall paneling, for the facility. Featured are on stage and off-stage segregation between family/patient and staff/physician work centers. 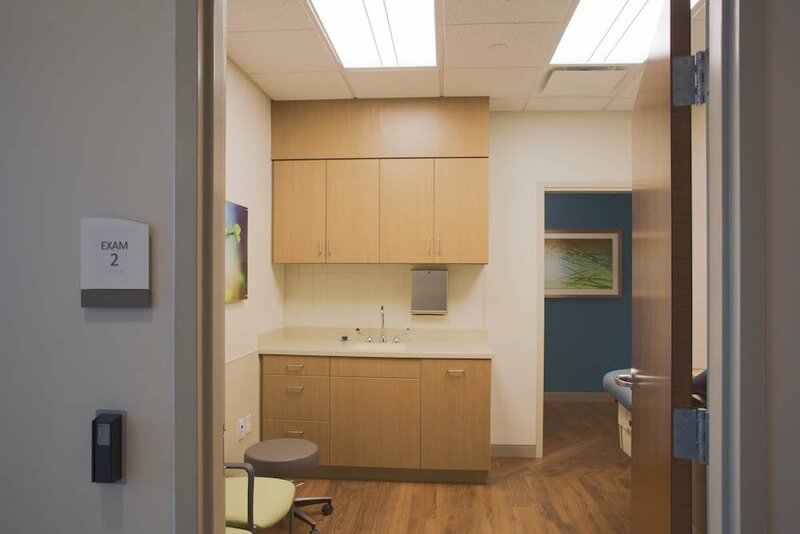 An on-stage/off stage module organizes spaces so patients do not see behind-the-scenes activities, and separate access is provided to exam rooms for patients and staff, all in support of a calming and reduced stress experience. 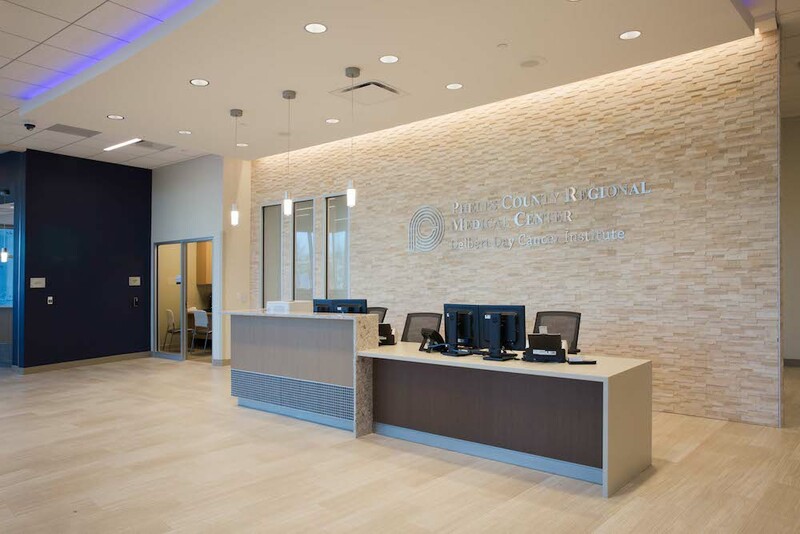 “Cohen Architectural Woodworking is proud to be recognized as an Award of Excellence recipient for our work at The Delbert Day Cancer Institute. 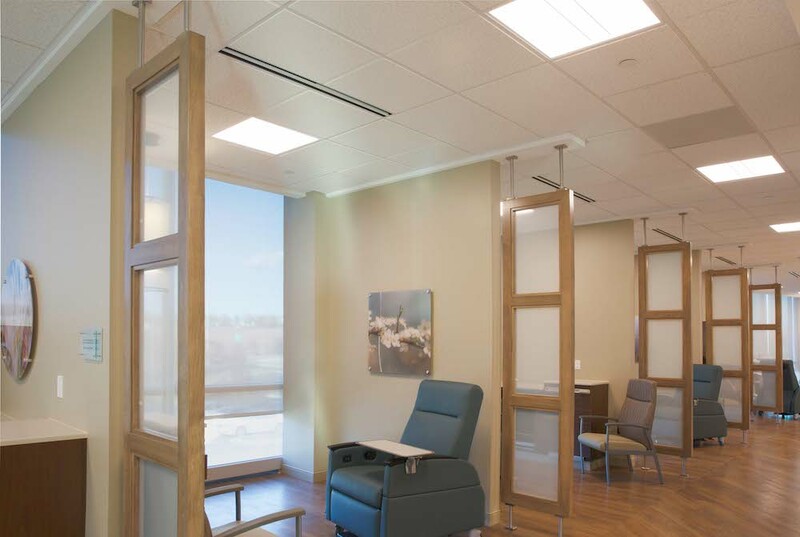 DDCI is a special facility providing the upmost in care and comfort for those needing cancer treatment. 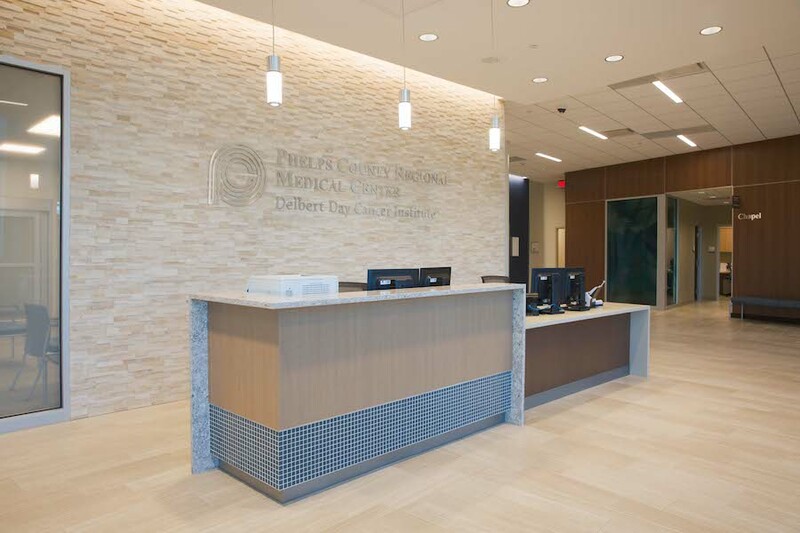 We are excited to help bring the board’s vision to reality and provide a local facility to help meet the needs of their patients,” said Phillip Cohen, CEO of Cohen Architectural Woodworking. Founded in 1982, Cohen Architectural Woodworking is a family-owned architectural woodworking firm headquartered in St. James, Missouri. Two things are obvious to anyone walking through our doors–we care about relationships and we care about excellence. 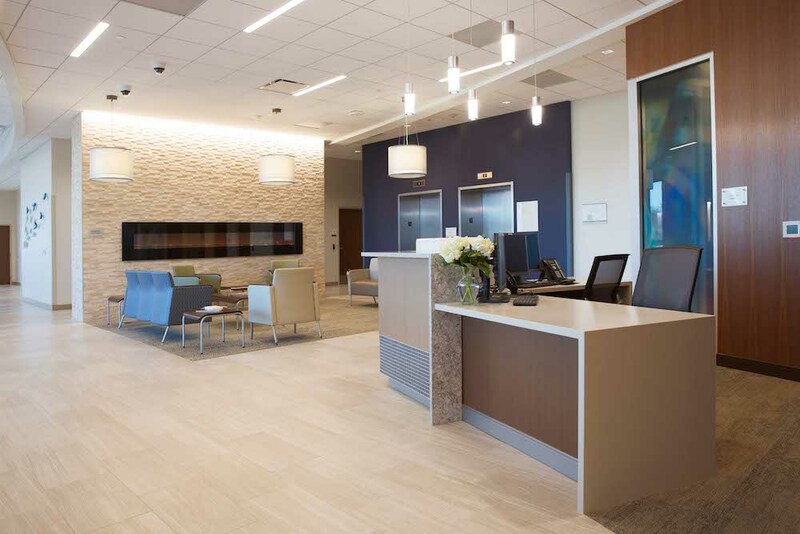 Cohen standardizes and builds high-quality custom millwork components and casework for healthcare, airports, education, retail, transportation, hotels, and more, for new construction, renovation, and disaster reconstruction. The firm has won multiple awards including the Architectural Woodwork Institute’s Award of Excellence for four separate projects, the Missouri Governor’s Small Business of the Year award, the Small Business of the Year award from the Rolla Chamber of Commerce, and, most recently Phillip Cohen was presented with the 2017 SBA Small Business Person of the Year award for the State of Missouri. Additional accolades include qualifying for the Inc. 5000, named to the list of Best Places to Work by the St. Louis Post – Dispatch, and named a Top Family Owned Business by St. Louis Small Business Monthly.